In 2008 when we wrote about the Don Valley Brick Works, it was still largely a rusting factory that offered great photo opportunities for urban explorers. But over the last couple years, a transformation of the site has been underway. And now its transition from urban-exploring wasteland to ecological sanctuary is near complete. Take a look at why National Geographic shortlisted it as one of the world`s top 10 Geotourism Hotspots, and the many ways you can enjoy this site in the summer. David Stonehouse, the director of site development, lead me around the site for a sneak peak at what it has to offer. He talked about how the focus of the Evergreen Brick Works is to provide a community centre that respects the site's heritage but that also makes it a leading example of sustainable architecture and design. The new office building on the site, for instance, will be LEED Platinum when it is completed, and will showcase other environmental building techniques like green walls and a green roof. 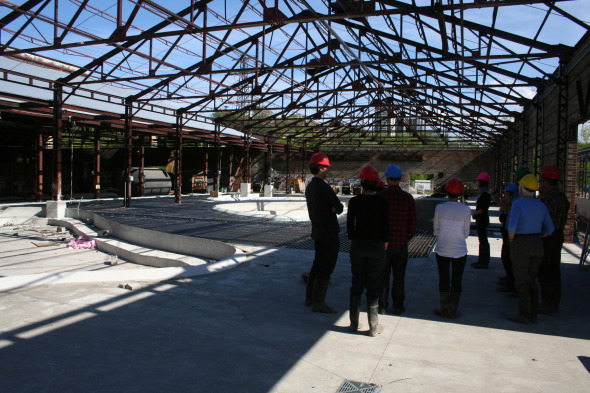 As David explained the issues with the construction of the Brick Works, the more the magnitude of his team's task became apparent. The site's industrial history makes preservation and building an ecological sanctuary a delicate balancing act. For instance, many of the roofs of the buildings have been removed because they contained asbestos. And the Brick Work's large parking lot - a necessary evil due to the site's distance from the rest of the city - had to be impermeable because of the contaminated soil under it. The construction of the parking lot even occasioned some archaeological discoveries. Nevertheless, the ambitiousness of the project only makes it more apparent that the Brick Works will be a major new tourist attraction, event centre and educational site when it is fully completed. But if you can't wait until September, there will be plenty of opportunities to experience it this summer. The Evergreen Gardens opened last weekend, and is now open every day. 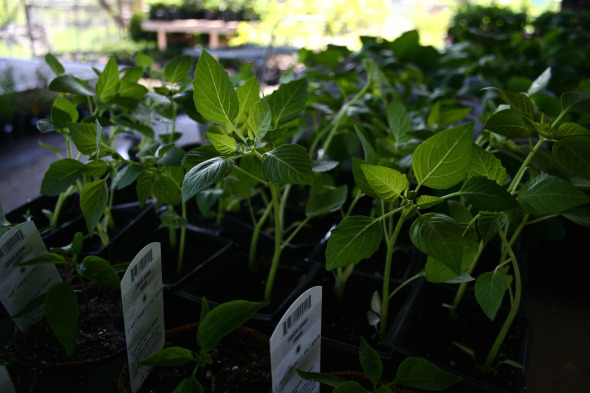 The gardens sells plants, mainly native and local plants, to help promote Ontario's biodiversity and to encourage city gardening. 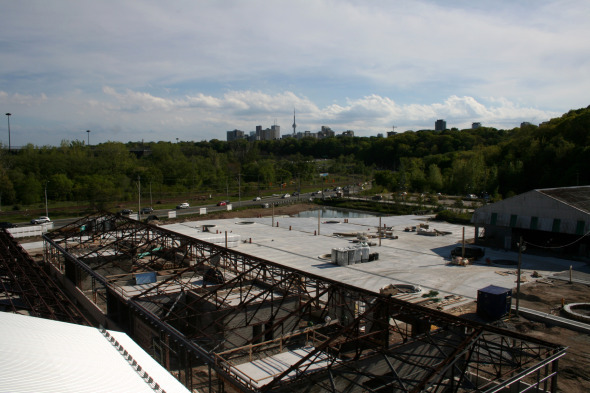 The Brick Works will also be a centrepiece in Doors Open Toronto from May 29-30. There will be more tours of the site, and one of the buildings will be painted by a graffiti artist. Keep an eye on the DOT web site for more details. 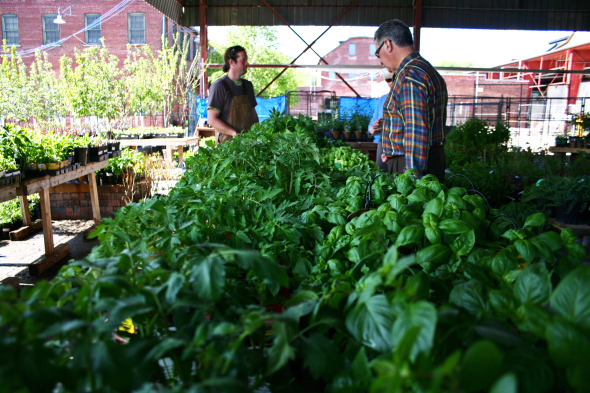 The farmer's market -- one of the largest in the city -- will also open on May 29-30 and will return every Saturday until October. The site will also feature events such as performances, readings, concerts and tours throughout the summer. And the quarry park behind the Brick Works is complete and can be accessed at any time. 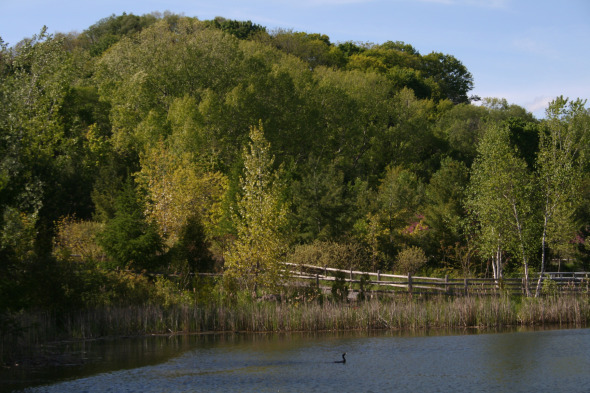 The site is accessible by bicycling, car, TTC or walking. For the TTC, take the 28A Davisville Station Bus on Saturdays between 7am and 3:15pm. There will also be a free shuttle bus to Broadview station starting in May. By bike, one needs to be familiar with the Moore Park/Chorley Park trail system or willing to brave the Bayview Extension. Visit the Evergreen site for full details.